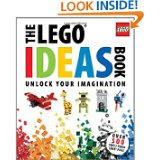 The Children's Room: Legos at the Library! The kids of Amherst are wonderful collectors, and enjoy showing off their collections via the display case in the Children's Room. Here is Davis with his amazing collection of Legos, which will be here for the month of February. Among the many characters in Davis' collection, see if you can spot Buzz Lightyear, Spongebob Squarepants, and C-3PO. There are lots of other things to look at, too--make sure you come in and see them! Oh, and talking of Legos, we're going to be holding a Lego Free-For-All during winter vacation. Kids are invited to come and create with the Legos we provide---we'll display the finished products here in the Children's Room! More details will be coming---ask in the Children's Room for more information. 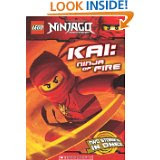 And, of course, I couldn't finish without pointing out that we have lots of great Lego books here at the library---from the DK Lego series to the new Ninjago chapter book series. Come and check 'em out!